Happy Halloween 2014! 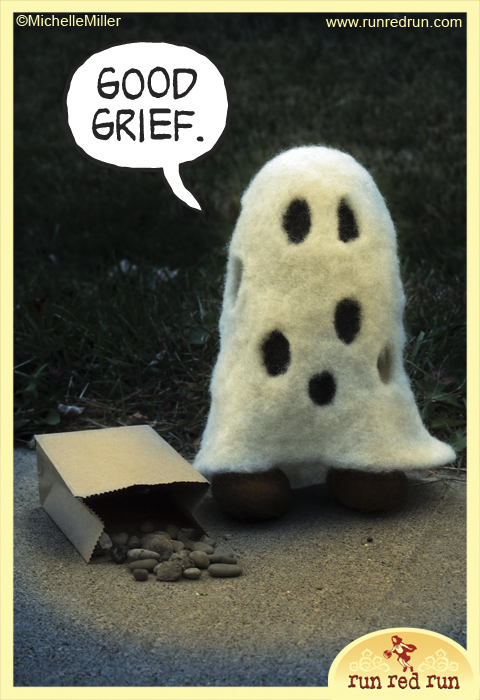 Needle felted Charlie Brown Ghost. 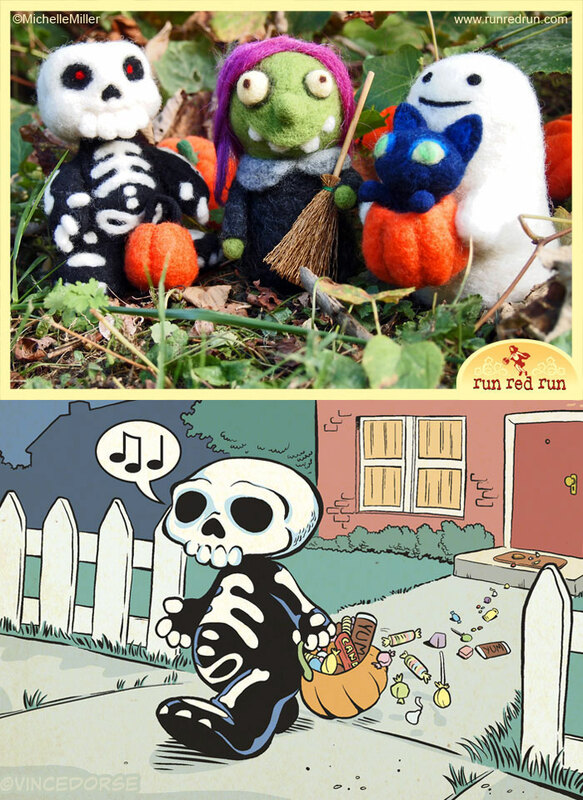 “I had a little trouble with the scissors.” I wasn’t sure I’d have time to get this felted and photographed, but I wanted to do something fun for Halloween. And here he is. Good Ol’ Charlie Brown in his ghost costume. No matter how terrible the costume, no one should get a bag of rocks for Halloween. Come on, people! 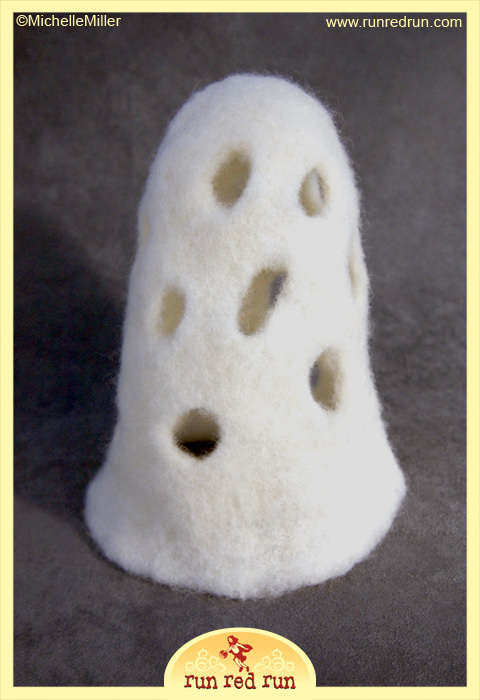 I took a photo of the “sheet” without the form under it so you could see those were actual holes, and not just black spots felted on. There are a few more shots of Chuck in the gallery. Happy Halloween! Mirror, Mirror, On the wall… Who’s the gooniest of them all? Little Witch Helga, of course! I just managed to get this little conjurer finished in time for Halloween. She’s a plucky little sorceress with a unique beauty who doesn’t mind passing out sweets to wayward children on All Hallow’s Eve. Beware…or you, too, may fall under the spell of her googly gaze. 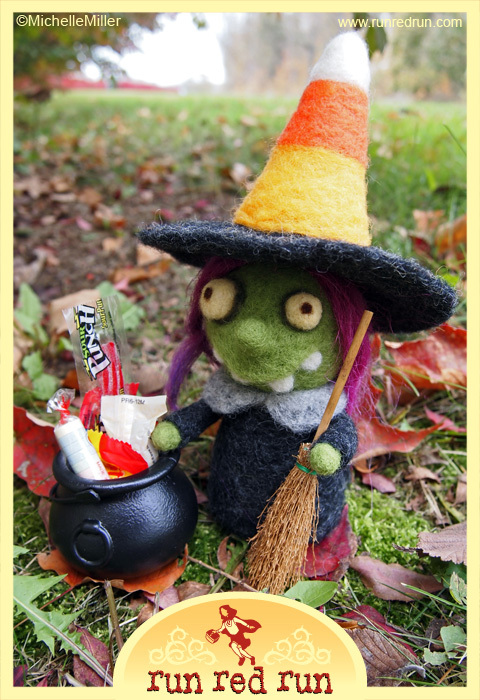 See more images of Helga the Witch in my gallery. And have a Happy Halloween!